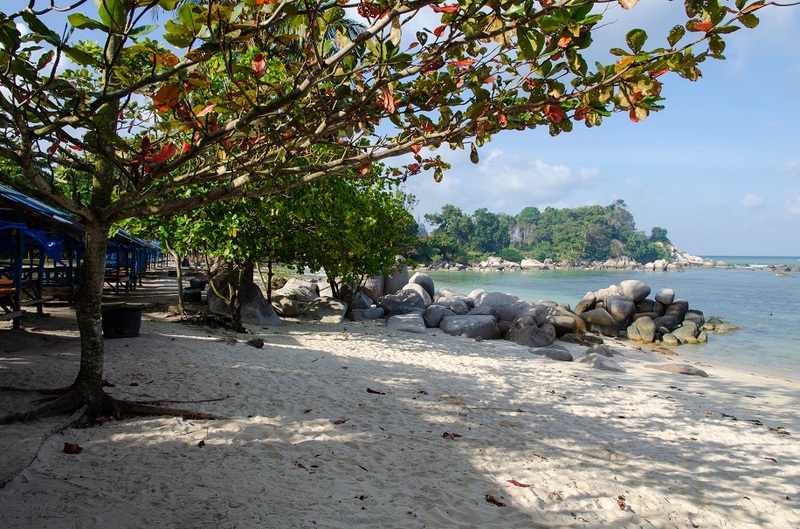 Until this February, I’d never given any serious thought to visiting the holiday island of Bintan in Indonesia’s Riau Archipelago. It took a solo work trip for me to eventually hop aboard a domestic flight from Jakarta, a journey that was slightly longer than the usual 55-minute ferry ride across the strait from Singapore. That hardworking city-state often looks to its larger neighbors for places to lepak, a word borrowed from Malay to describe the act of loitering around, to chill and do nothing. 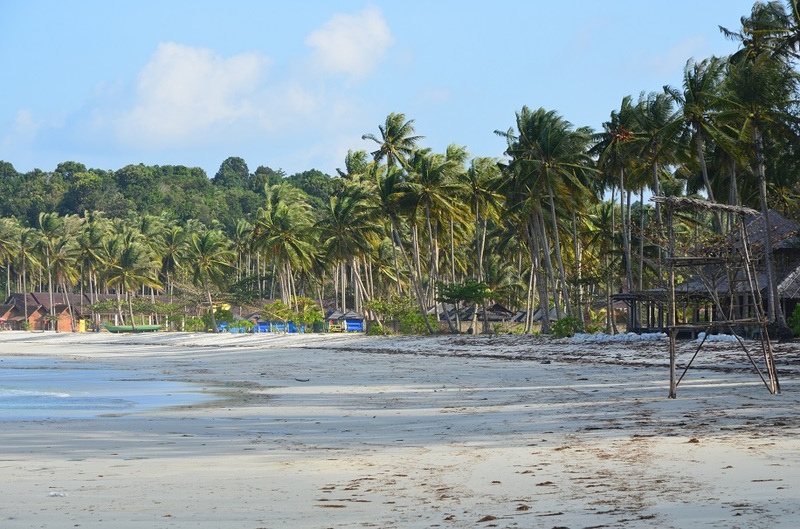 The broad perception among Singaporeans – and one that I also held until recently – is that Bintan is all about lepaking in beachside resorts; that it is purely geared toward weekenders looking to cocoon themselves in the smart hotels scattered along the island’s northern shore. How wrong I was. 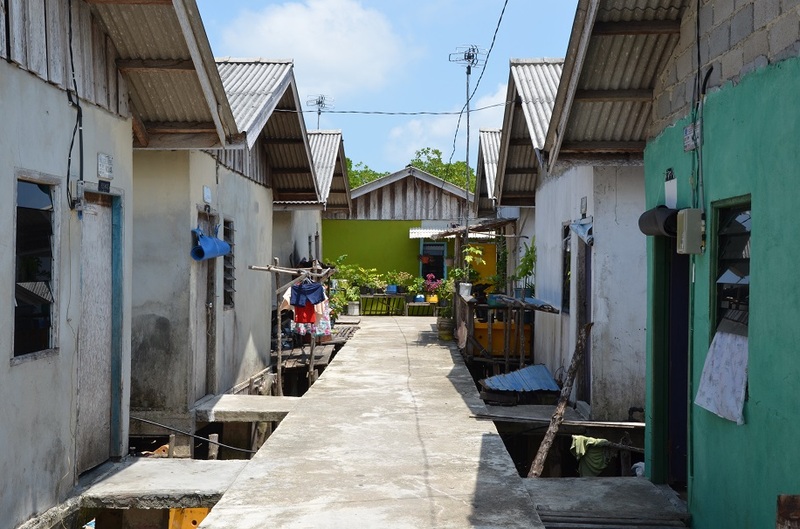 Bintan, as it turned out, was raw and beautiful in ways I hadn’t imagined. The hour-plus drive from the airport to the resort enclave passed calm estuaries and inlets – places where I could imagine myself paddling in a kayak – framed by thick mangrove forest. Then we raced through a scrubby landscape with a slightly Wild West feel; my driver, Erizal, was going full throttle in a beat-up taxi with a large crack running down the left side of the windshield. It wasn’t until 20 minutes into the journey that I noticed how a large chunk of the steering wheel had simply gone missing, as though it had corroded through years of exposure to the salty sea air. A brief security check and a sizeable gateway signaled that we were now inside Bintan Resorts, the name given to a 17,500-hectare swath of land designated for tourism, carefully master-planned and managed by a Singaporean-Indonesian investment company. Suddenly, something heavy fell from the boot with a loud clunk. “Ah, the taxi light!” Erizal chuckled. The vehicle came screeching to a halt, then he went out to retrieve the broken light and a rusted metal frame that had once held it to the body of the vehicle. 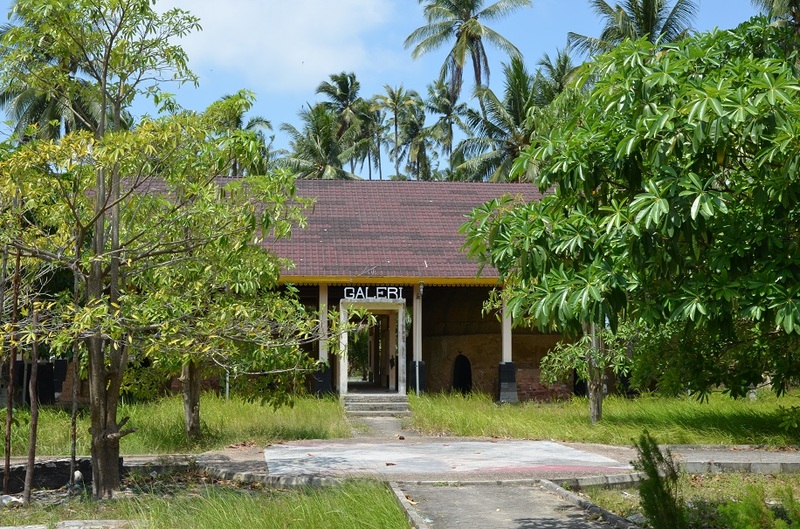 I could see why the security guards were bemused when we finally arrived at the entrance to Laguna Bintan. A working weekend was not what I had hoped for, but there were far worse places to be. Laguna Bintan comprised a golf course looking out onto a picture-perfect bay strewn with boulders, and a trio of lodgings catering to different kinds of travelers: perched on a forested headland was the all-villa Banyan Tree for couples wanting a bit more privacy, down the slope you had the family-oriented Angsana by the kilometer-long private beach, and beside it rose the newest of the bunch – the quirky Cassia Bintan for the millennial crowd. Still, work was work. 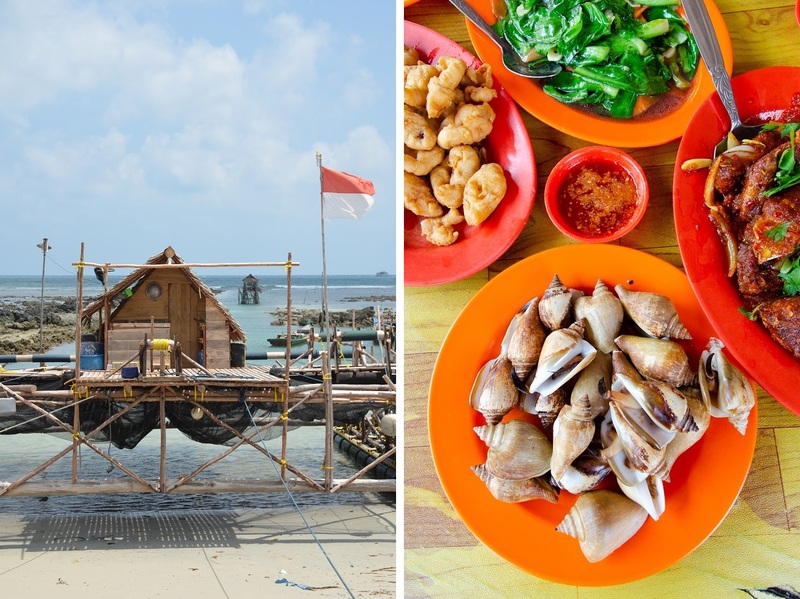 Sunday meant a jam-packed itinerary full of site visits accompanied by Iris, a Singapore-based marketing manager at Bintan Resorts who had generously forfeited her weekend to take me around the island. The best part of the day was an hour-long cruise in a small motor boat on the placid, mangrove-lined Sebung River. As we sailed upstream we came across an unexpected glimpse of the local history. 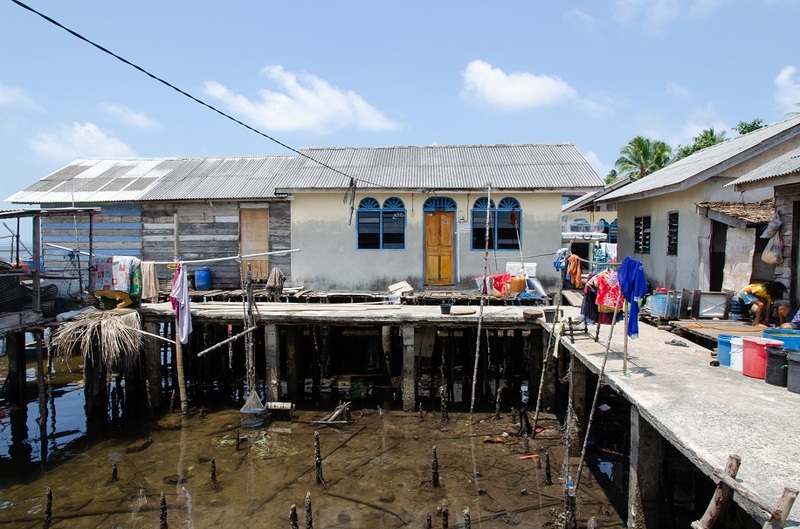 Up until the practice was outlawed some 20 years ago, mangroves all around Bintan were chopped down and slow-burned in red-brick kilns to make export-grade charcoal. The traces of that former industry were visible on the riverbank, where an overgrown charcoal kiln suddenly emerged through a gap in the trees like a long-lost stupa. Eventually the river narrowed to the point where the trees on both banks intertwined and enveloped us in a sun-dappled tunnel of foliage. Iris spoke in hushed tones as we glided across the mirror-like waters. “This is my favorite part – it’s like entering another world.” Soon enough, the young guide onboard pointed out slumbering (and venomous) mangrove snakes – their jet-black bodies marked with diamond-shaped patterns in neon yellow – curled up in the branches overhead. We also saw a monitor lizard taking an afternoon nap and tiny mud crabs skittering in and out of their burrows on the pockmarked banks. Alas, given the plethora of site visits that day, I had not thought to bring my camera along. 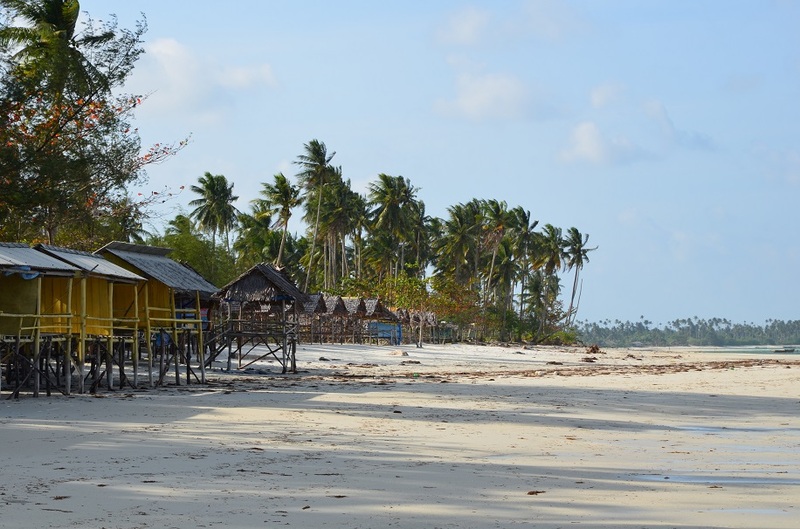 We drove south along the coast, passing tens, perhaps dozens, of portable, thatch-roofed fishing platforms known as kelong. These had been beached on shore or moored in the shallows to wait out the rough seas of the northwest monsoon. 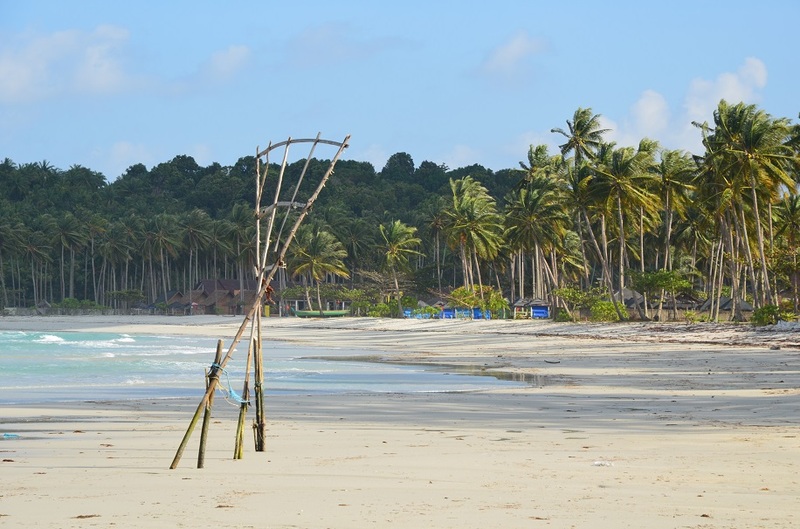 Our next stop was Trikora, a series of brilliant white-sand beaches backed by bamboo-built thatched pavilions and a host of coconut palms, their fronds blowing freely in the wind. 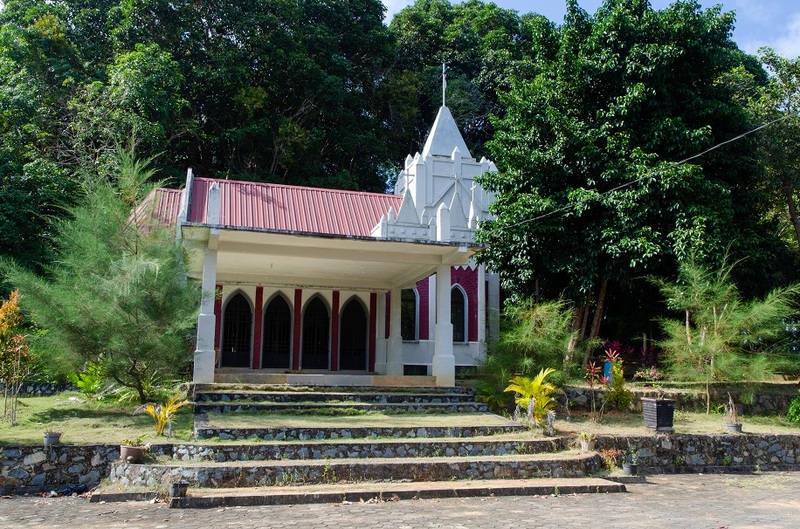 Just up the hillside, the Catholic sanctuary of Grotto Santa Maria was entirely deserted, leaving Iris and I to wander its limestone Stations of the Cross and an intimate chapel in silence. How beautiful. I ferried to this island from Singapore only so I could get a cheaper flight to Sumatra than flying from Singapore. Now I see what I missed! 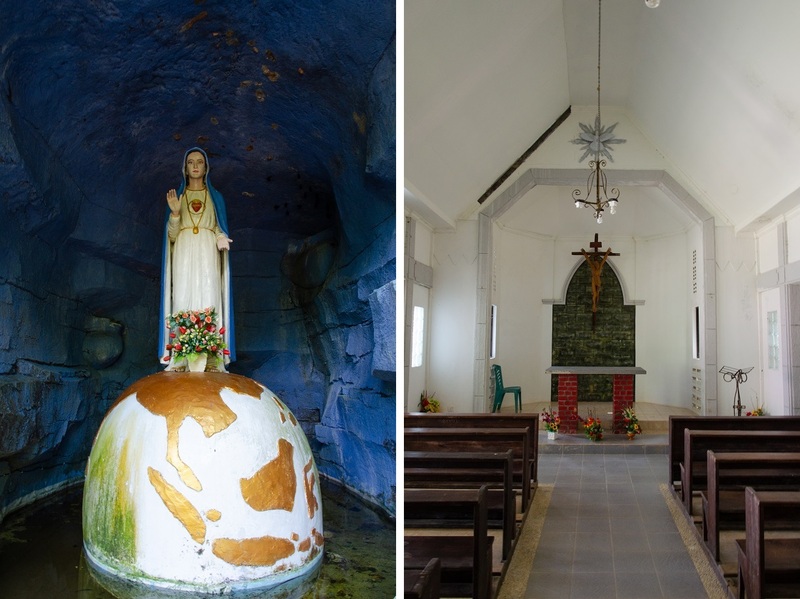 I’ll be touching on the cultural and historical sites of southern Bintan in my next post – there were so many photos from the island that it made sense to split them between two separate entries! That part of the taxi ride to the Laguna Bintan sounds like something straight out of a comedy movie, James! I can’t stop chuckling at how amusing and comical it must have been. I too used to think that Bintan was all about beachside resorts; only in recent years I learned that there is more to see on this island than its white sand beaches which, judging from your photos, don’t look too shabby at all. I am quite fascinated by the shaded kiln for its decorations though: that seemingly burned niche wouldn’t look out of place among Java’s ancient temples, and the entrance reminds me of the style people used when the influence of Hinduism began to wane in the archipelago. Such curious elements for a place built specifically for making charcoal. Oh, that taxi ride was just hilarious! I could even imagine Erizal being a pirate given his easygoing, devil-may-care attitude. 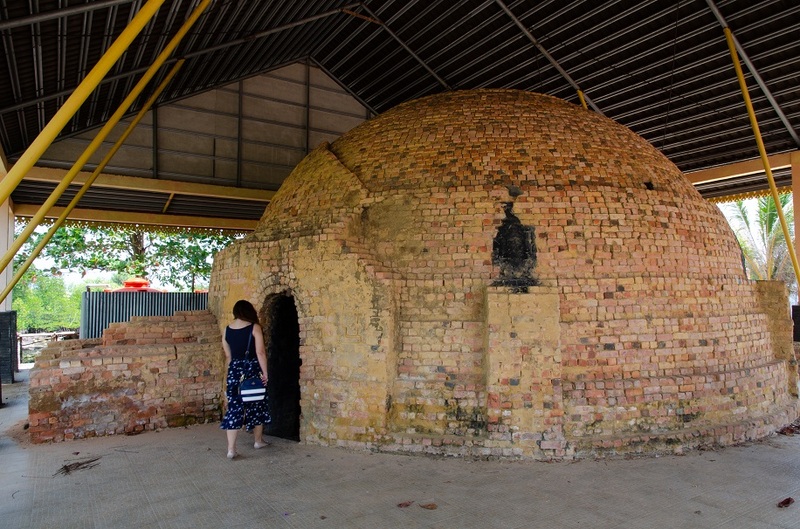 The abandoned charcoal kilns ought to be carefully preserved and celebrated – maybe someone should build a small-scale hotel whose design takes its inspiration from their lovely stupa- or igloo-like shapes. That would be something different and unique to Bintan. You are so right – so much more than resorts. 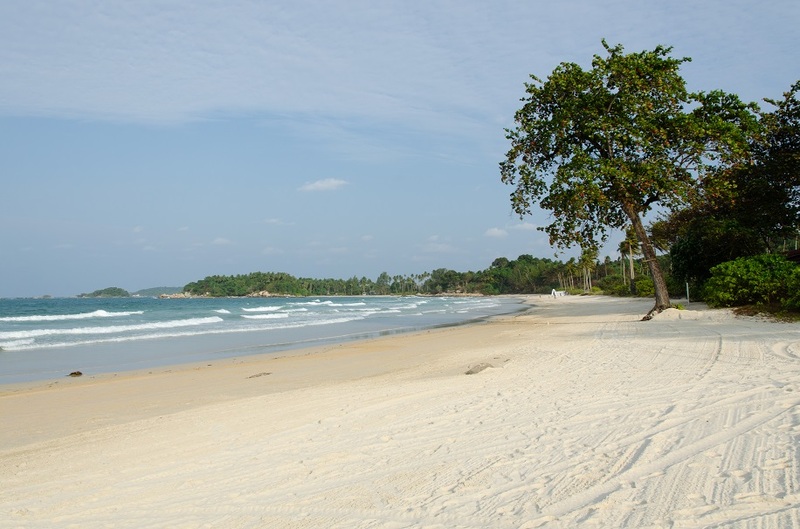 I love the Panglong village, but also that seriously inviting white sand beach. Enticing post James. Thank you, Alison. I would have liked to take some portraits of the village residents but given their relative shyness it didn’t feel wholly appropriate at the time. There’s still more on Bintan in my next post – Chinese temples, stilted villages, and a forgotten offshore island that was once the abode of Malay royalty! James, I can’t say I feel too sorry for you on your working weekend! 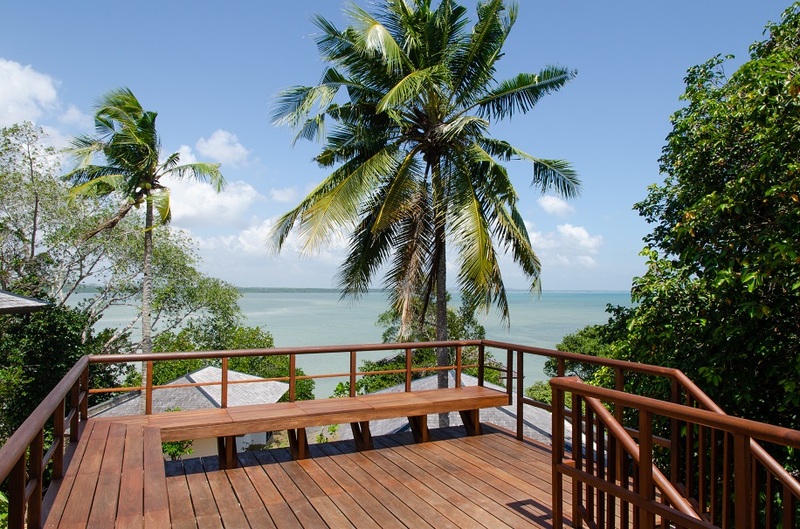 Bintan looks beautiful and it’s good to know that it offers much more than beaches and lovely hotels. Your taxi ride experience and the upscale holiday complex are so incongruous (hilarious description). 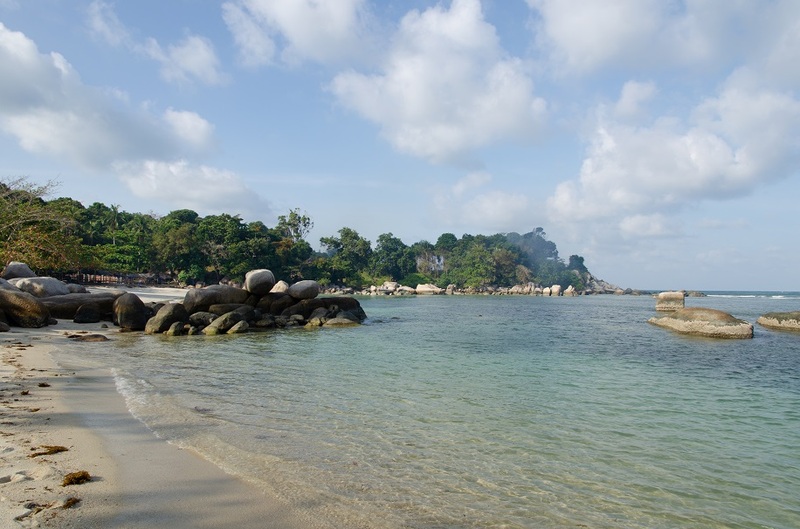 Just curious whether you know how Bintan compares with Tioman. I was at the latter many years ago and loved it. I’m sure it has changed over the last 20 years. Wow Caroline, lucky you! I haven’t been to Tioman just yet, but I’ve heard about how beautiful and unspoiled it is from friends in Singapore. Even now the island sounds much wilder and quieter than Bintan… on Google Maps it appears that Tioman still seems to be covered in rainforest! It was gorgeous – and such a change from my usual surroundings! What an interesting place. Although I’d never heard of it before, I imagine Singaporeans fill it up on the weekends and holidays. I am sorry you had to spend your weekend working there. 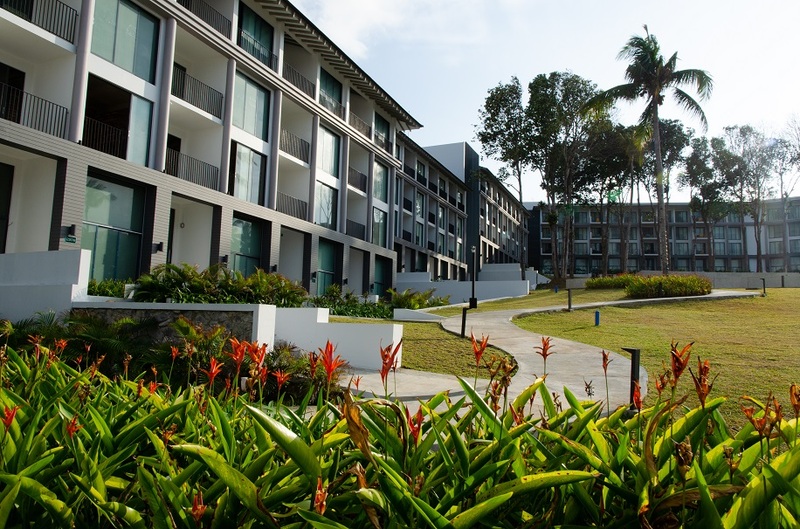 I think Singaporeans (and most other visitors) tend to stick to the resort enclave in the north – it’s been developed very carefully and the infrastructure there has been built to international standards. So much so that it’s even possible to drink straight out of the tap.